Imagine the excitement of staying on the Monorail for the first time. Our 4th trip to Disney in as many years was as magical as ever. Thanks to amazing friends and their sacrifice as a Military family, we were able to do our trip in our budget but stayed at the Polynesian. It’s so great to share these magical trips with people we truly enjoy spending time with. This trip was the first we didn’t have any extended family with us and we were nervous about managing the kids but in the end, I think it was quite perfect. I’ll say that I enjoyed not having to stress about making sure others had a magical time. I do truly love planning but it’s nice to have just our family of five to worry about when planning meals and shows and such. That said, there are so many people we hope to have on our next adventure. 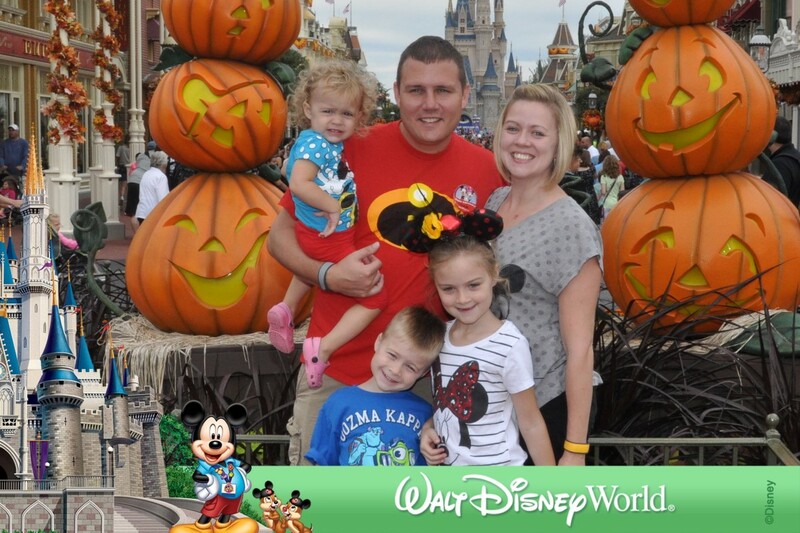 Sharing these magical memories is the best! 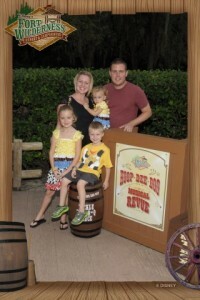 The Hoop Dee Doo Review was a highlight. The entertainment was top notch and the food was yummy. Our server, Nina was delightful and Emme liked her so much that we wanted to hire her for the week to watch the kids. It was great to share this special dinner with the kids since Tommy enjoyed it so much when he was young. I had never been before and we all agree we would do it again! 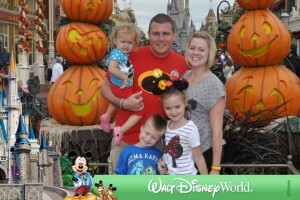 We of course went to Mickey’s Not So Scary Halloween Party. 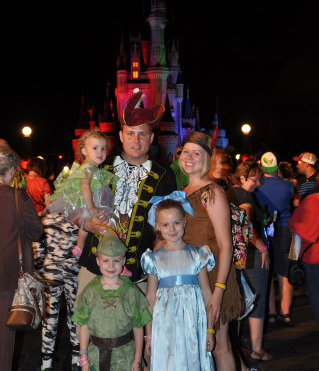 This year we dressed up as Peter Pan characters. Lucy was Wendy. Jack was Peter Pan of course. 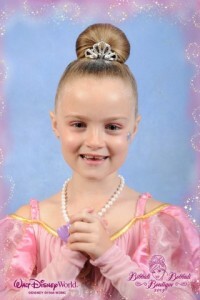 Emme made a great Tinkerbell. Tom was Captain Hook and I went as Tiger Lily. The party never disappoints and we stayed until after midnight. It was extra fun to meet Vidia and Tinkerbell in our costumes. Getting to ride the rides with no lines and meet some extra characters is so worth the extra ticket for this event. It’s become a real favorite of ours. The Polynesian hotel is so relaxing. Our room was lovely and right near the pool. Being able to hope on the Monorail was a real treat considering how many times we go to Magic Kingdom on our trips. The kids absolutely loved the Volcano pool and after over coming their fears went down the water slide countless times. They couldn’t get enough of it. I also really enjoyed our two meals at Ohana. Breakfast was characters and then the dinner was a delicious family style meal. Both I would love to do again. I had been trying to get reservations there for dinner for years! Lucy of course got a princess makeover. It’s such a special time to watch them be transformed. I scored big by finding a pink Ariel dress online before our trip. Ariel is Lucy’s favorite and the dress was not easy to come by. I love being able to give her these special memories. 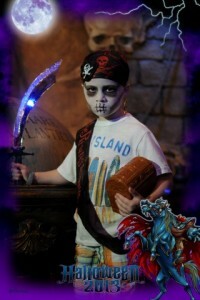 Jack got to have some makeover fun this time as well and took part in the Pirate League makeover. He looked awesome! Overall it was full of memories. Emme was scared up close of the characters but loved them from afar. She loved the shows and Teacups seemed to be a hit with her. Stroller napping was not an issue at all. We are so lucky to have kids that travel well and adapt. Jack tried some rides he had not gone on. He loves Space Mountain and Thunder Mountain now. However, it has been decided that Space Ship Earth is not a ride anyone wants to do again. 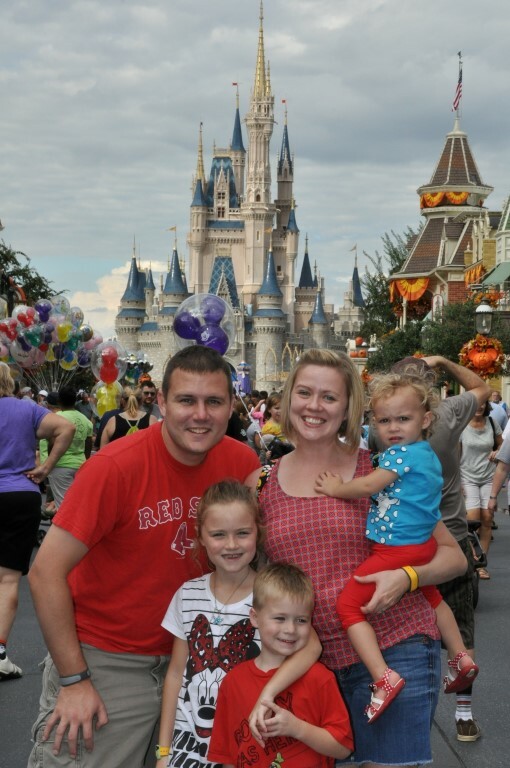 Lucy seemed so much more grown up this trip and I hope she can hang on to the magic a few more years. The Magic Bands were a learning curve but overall they seemed to be easy and great to have. I am certainly ready to start planning our next trip!